4th May. By admin. Posted in 365 Things. 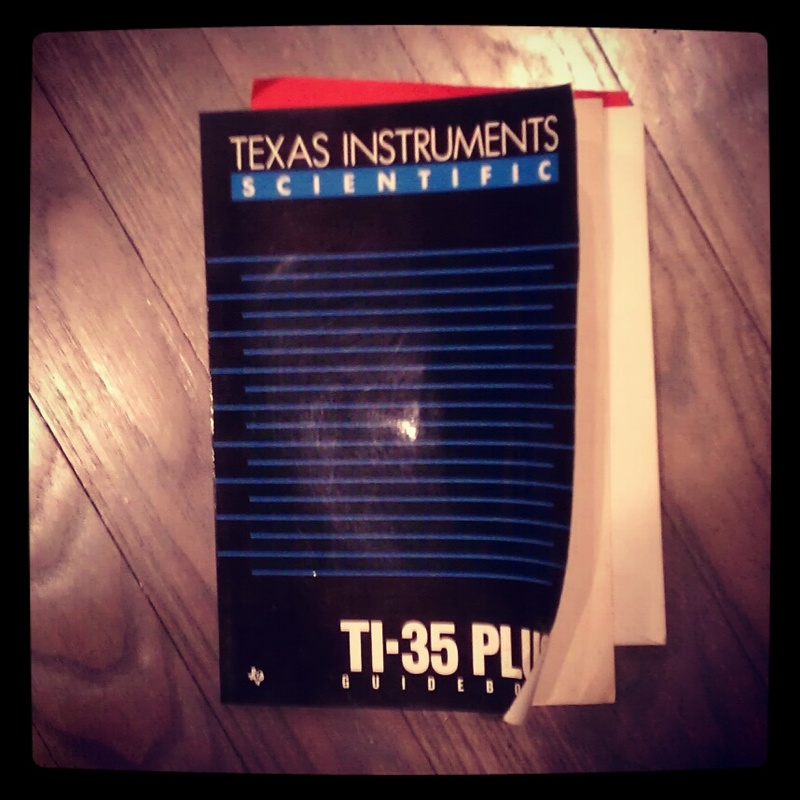 Texas Instruments TI-35 Plus Scientific Calculator guidebook. I’m at my parents house today, the house we’ve been in since I was a teenager. My folks threw a small gathering to introduce and celebrate Lucinda, who many of their friends have not met. We also rolled in a celebration of Mother’s Day and my birthday, seeing that we aren’t getting together again next weekend. The way scheduling goes for us these days it’s easier to consolidate events. I’m so removed from those teenage years that seeing people I grew up around always bugs me out. I have a hard time remembering things from those times and I haven’t seen many of my childhood friends in about a decade. Everyone always seems to have memories that I can’t recall because I’ve moved on without holding on. I thought about this in relation to my 365Things project and it made sense- I’m trying to move on without holding on. But when I went into the basement to look for things to purge, I found myself confronted with artifacts from my teen years, and I felt a struggle about what to keep and what not to keep (more on this soon). I chose this calculator guidebook, printed in 1986 and almost 30 years old. I don’t have the calculator anymore, and even if I did I wouldn’t need this book. I’ve moved past the time of scientific calculations, at least for now…isn’t that why the computer was invented?